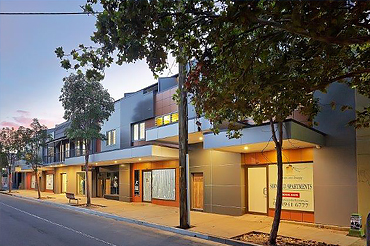 If you're looking for accommodation in Newcastle, NSW, then Crown on Darby is the perfect base from which to strike out and explore the city and surrounding areas. Elegantly appointed and tastefully furnished, we passionately believe in making you feel at home. You'll never want to leave once you experience our spacious, comfortable, luxury serviced apartments and exceptional customer service, all perfectly located in tarikhema cosmopolitan Darby Street, Newcastle, NSW. We provide visitors with the choice of stylish studio rooms, as well as beautifully furnished one, two, three and four bedroom apartments – meaning we can cater for couples, as well as families and groups of friends or business associates. Our complimentary WIFI is one of the fastest in town and available for all guests. In addition to our apartments Crown on Darby features a state of the art meeting room available to book for your next function or meeting. 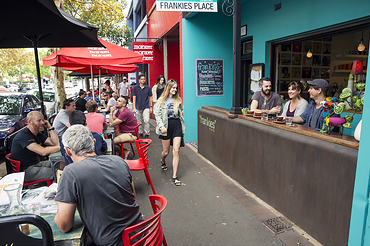 Whether you are away for business or pleasure, indulge yourself in Darby Street, located in the historic suburb of Cooks Hill. Home to Newcastle’s premier boutique shops, restaurants, salons and bars. Check out the latest fashion trends in the boutiques; buy some local artwork or simply watch the bustling street from one of the many coffee shops – everything you need is on Darby Street. Crown on Darby is the perfect location to explore the trendy street.